My current company follows the traditional code promotion environments: Development, Test, and Production. 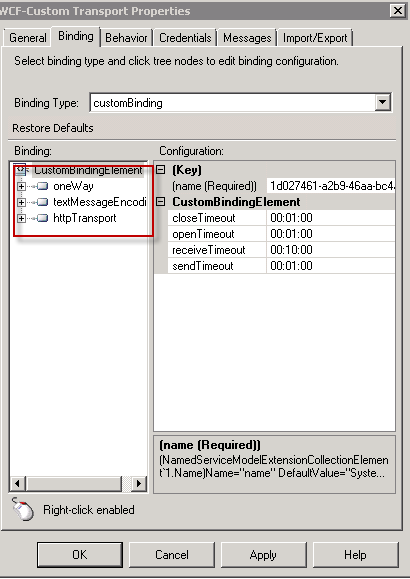 These environments are fully integrated with other systems so we can test messaging of our Enterprise Service Bus (ESB). Where things really start to get atypical is in the fact that we support three different development and test environments. Wait, what??? Yeah, and since we have three different test environments, we have three different BizTalk groups which all mimic our production set up. Which in turn means three clustered databases. 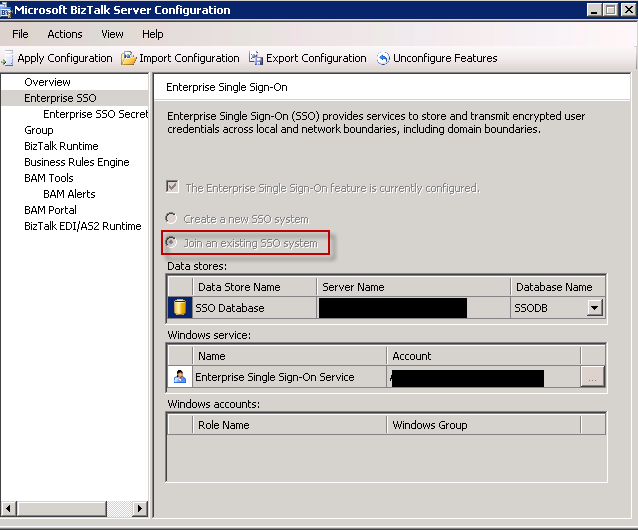 Here is one thing that is super nice, we leverage the same Master Secret Server database and Enterprise Single Sign-On Service (SSO) for all three BizTalk groups. Wait, what??? 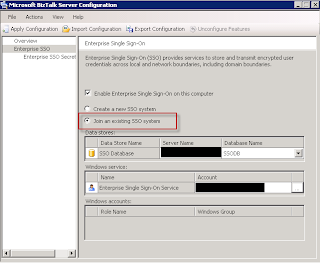 Configuration of the remaining BizTalk features can be set up to leverage the second cluster application labeled BIZTALK2. 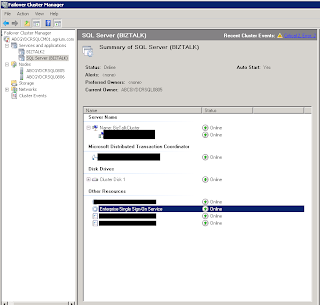 This cluster has a SQL Server database that can be used when configuring the BizTalk group, BizTalk Runtime, Business Rules Engine, and Business Activity Monitoring (BAM). I used the same process when configuring the third BizTalk group. 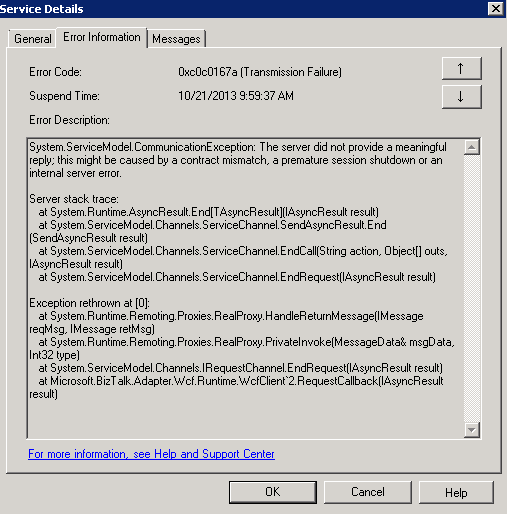 The only changes are during the configuration of BizTalk. 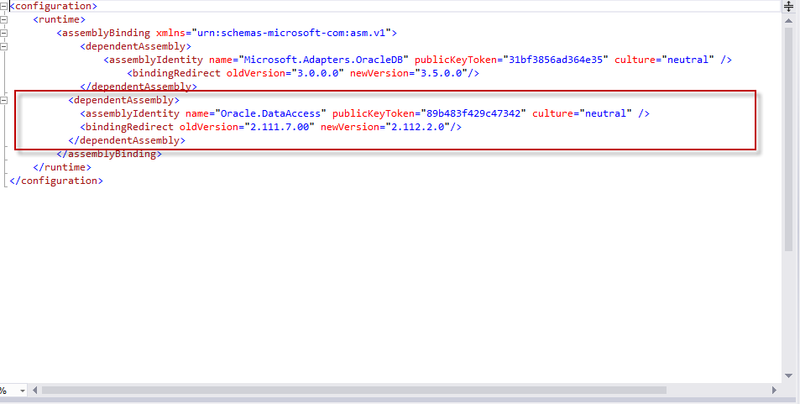 Instead of using the BIZTALK2 clustered application, I used the clustered application labeled "SQL Server". 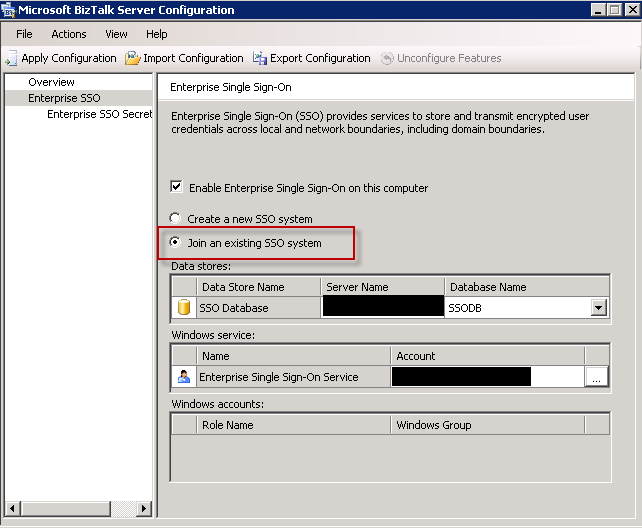 So what do I gain in having three different BizTalk groups leveraging one Enterprise SSO? For starters, this minimizes the number of clustered servers. 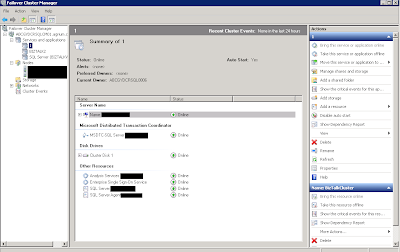 Instead of having three different clustered servers, I have one, which means fewer servers to maintain and support. Reduce Total Cost of Ownership (TCO) which directly relates to the first point. 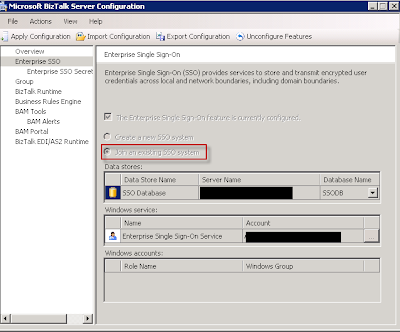 Maintain only one Enterprise Single Sign-On Service. If I had multiple clustered servers, each one would require it's own Master Secret Server and Enterprise SSO (which need to be clustered). 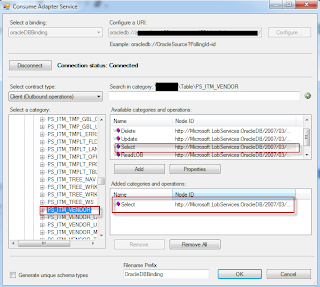 Avoid multiple Master Secrets to backup and store for a non production environment. 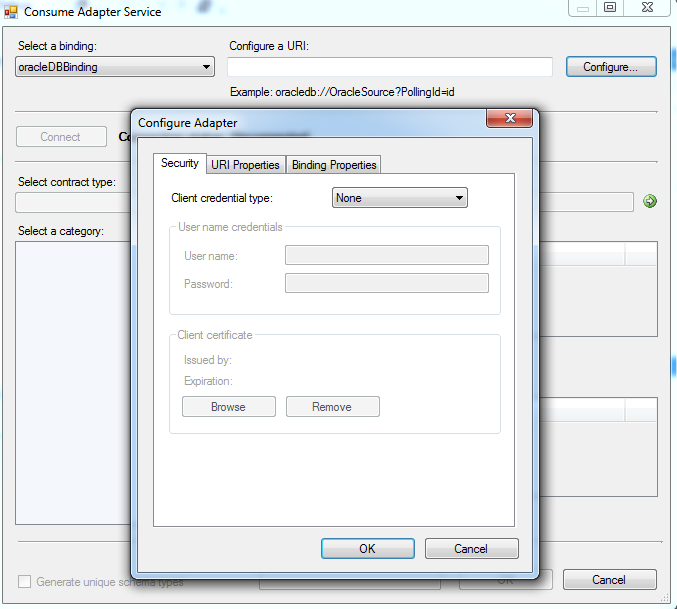 As a side note, some may argue that I've altered my test environment in a way so that it no longer mirrors production. In theory, I can agree with this, however in practice I'm willing to take the risk. I don't think multiple BizTalk groups sharing the same Enterprise SSO creates a test environment that deviates in a meaningful way from the production environment. 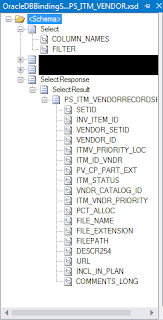 At my current company, I was on a recent project that needed to query master data housed in our PeopleSoft Enterprise Resource Planning (ERP) System. 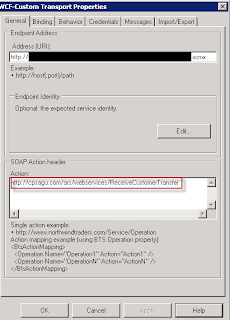 Generally, we have leveraged the Request/Reponse message pattern via web services when querying ERP master data. However, on this project, we needed multiple succinct request messages to get the required data. 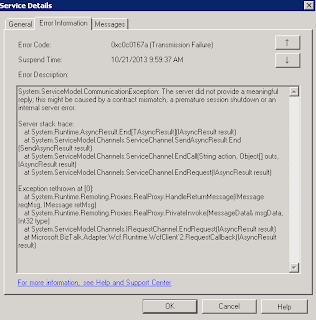 These smaller high volume messages were a definite limitation for PeopleSoft. 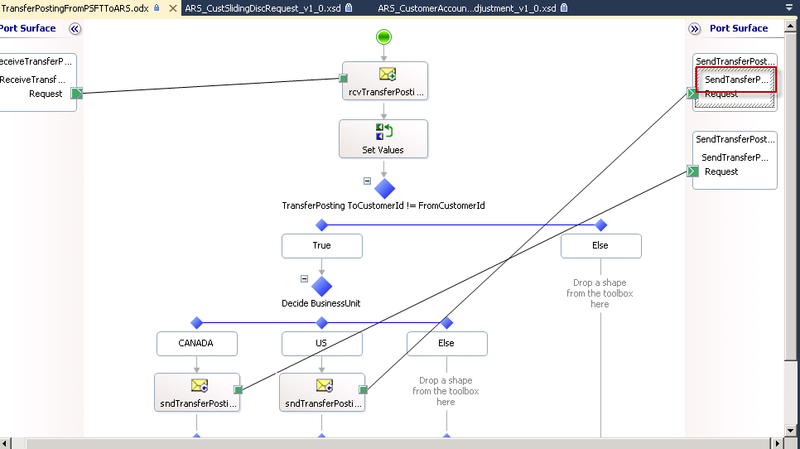 PeopleSoft uses Integration Broker (IB) for messaging, and we discovered early on that it's ability to respond in a timely manner to a high volume of requests was sub par. Luckily we have BizTalk, which is interoperable, and provides an Oracle adapter that could be used to access the PeopleSoft Oracle database. Having never used the Oracle Adapter before, I started Googling around for help. 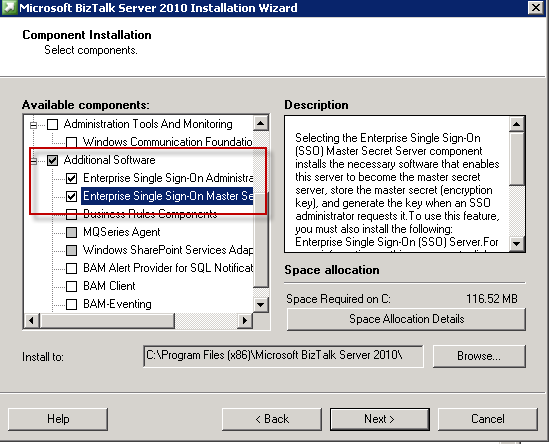 This is a step-by-step guide with screen shots for installing the BizTalk Line of Business Adapter Pack. 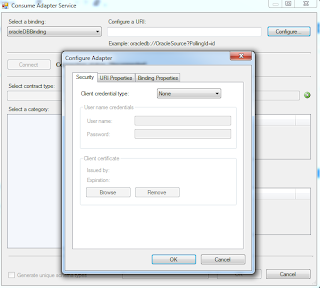 Although I was more interested in the Oracle adapter, I went ahead and installed the other adapters as well (SAP, Siebel, Oracle E-Business Suite, etc.). 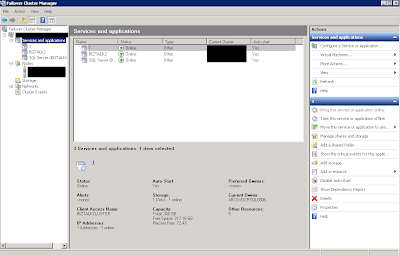 In addition, this blog post also guides the user on how to add the adapter to the BizTalk Administration Console. 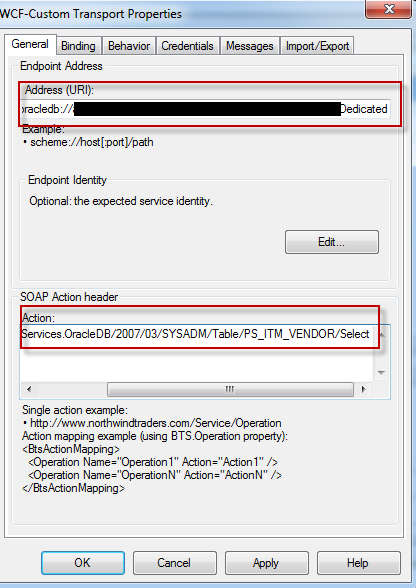 First I contacted our PeopleSoft Admin to get the current version of the PeopleSoft Oracle Database (11.2.0.2). 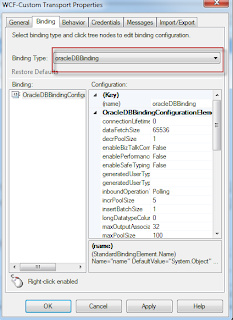 I then went to the Oracle website and downloaded the appropriate 32-bit and 64-bit ODAC zip files (ODAC112021XCopy). Why not just the 64-bit? 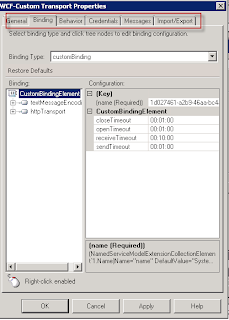 For design time development, you will need the 32-bit version to create a connection to the database. From the readme.txt included in the ODAC zip files, I installed the assemblies by running the "install.bat" file from the command prompt. Again, I had to do this twice, once for the 32-bit version and once for the 64-bit version. Once the database information is entered, click the "OK" button. 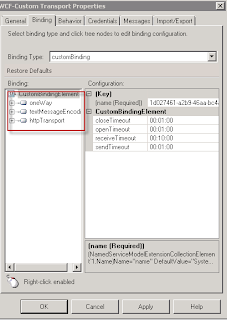 From the "Configure a URI" text box, copy the text and paste into an application like notepad for later (you will need this information when setting up your send port in BizTalk Administrator). 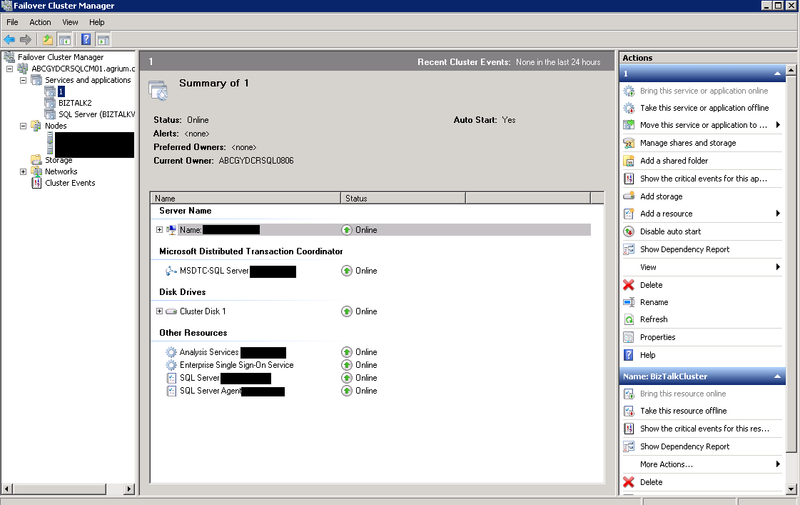 After completing development (in my case an orchestration), building, and deploying my project, it was time to configure the send port in BizTalk Administrator. 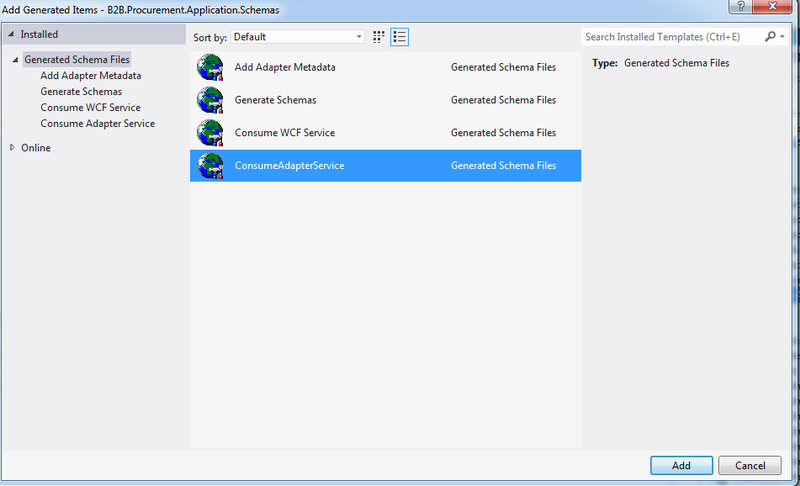 The first step is to create a new Send Port for the application. 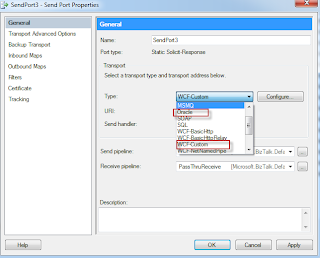 Right click the "Send Ports" and add new "Static Solicit-Response Send Port"
When configuring the adapter, under the "General" tab, there are two important steps. 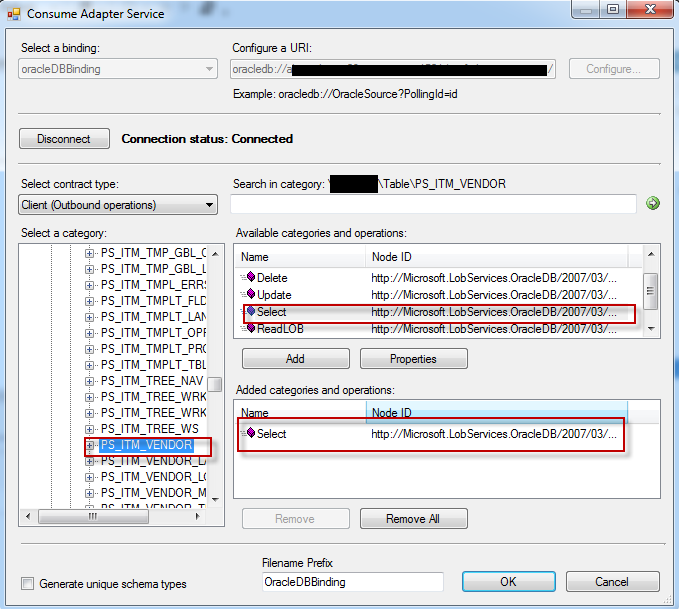 First, I entered the Address (URI) by copying and pasting the text saved in notepad from my previous step of connecting to the Oracle database. 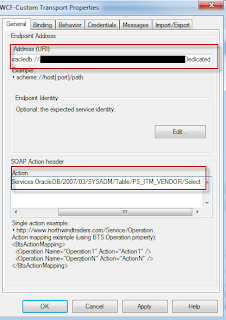 Second, the Soap Action should come from the "Target Namespace" of the database object schema created with the Adapter service. 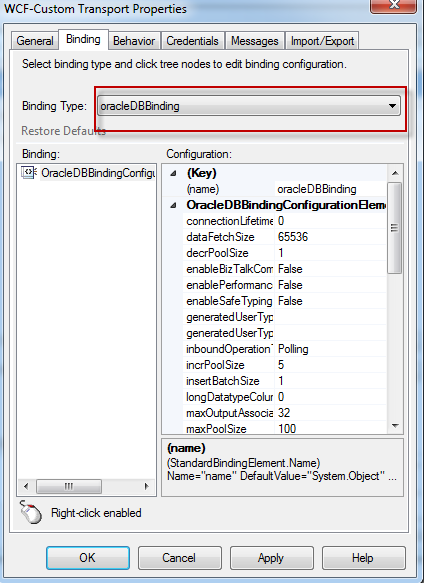 Running a test message, I was able to confirm that the send port was sending and receiving messages with the Oracle database successfully. One thing to note, directly accessing an ERP database table is not a recommended approach, and I only used a table to get a working example up and running. 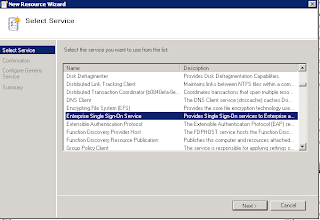 After bringing ESSO online for the cluster, I restarted the Enterprise Single Sign-On Service on each of the BizTalk Servers. Last step is to restore the Master Secret on the active node of the cluster. Those directions can be found here: How to Restore the Master Secret Server. Essentially, running the command "ssoconfig -restoreSecret [filename]" will restore the master secret on that server. One thing to note is that you will need the password originally set-up when backing up the Master Secret to restore successfully. One last talking point to this whole process. I'm fortunate to work in a company with the foresight to invest in multiple environments. Before implementing this in our production environment, I was able to test this process in our quality assurance environment. I would highly recommend going that route to identify potential problematic areas. 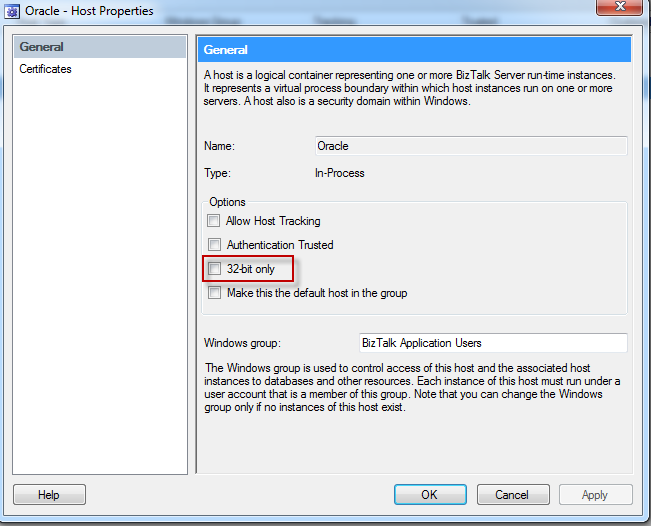 One other talking point, if your looking to cluster your BizTalk hosts, check out this article by Kent Weare Clustering BizTalk Hosts. A great article on not only the "how to" but why you would want to. BizTalk Applications - Receive Ports, Send Ports, Orchestrations, and Suspended Messages are all areas we are alerted to when there is a problem. 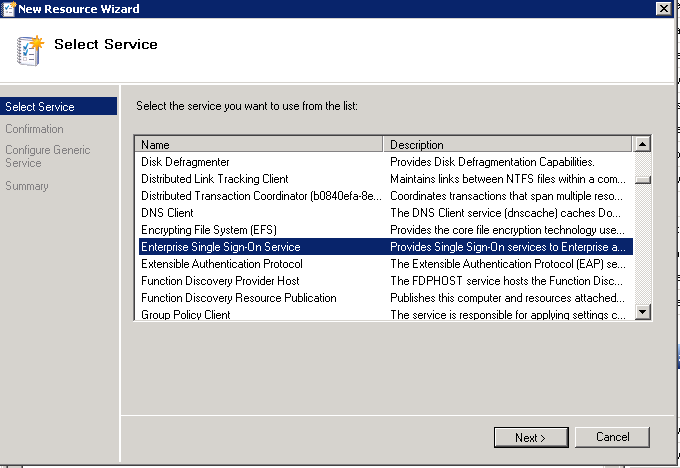 BizTalk WCF Services - WCF Services for BizTalk Receive Locations hosted in Internet Information Services (IIS). 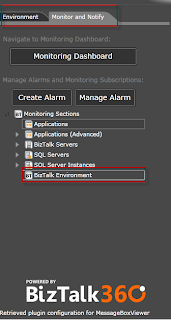 BizTalk Host Instances - Our BizTalk host instances are monitored to ensure they are in a started state. 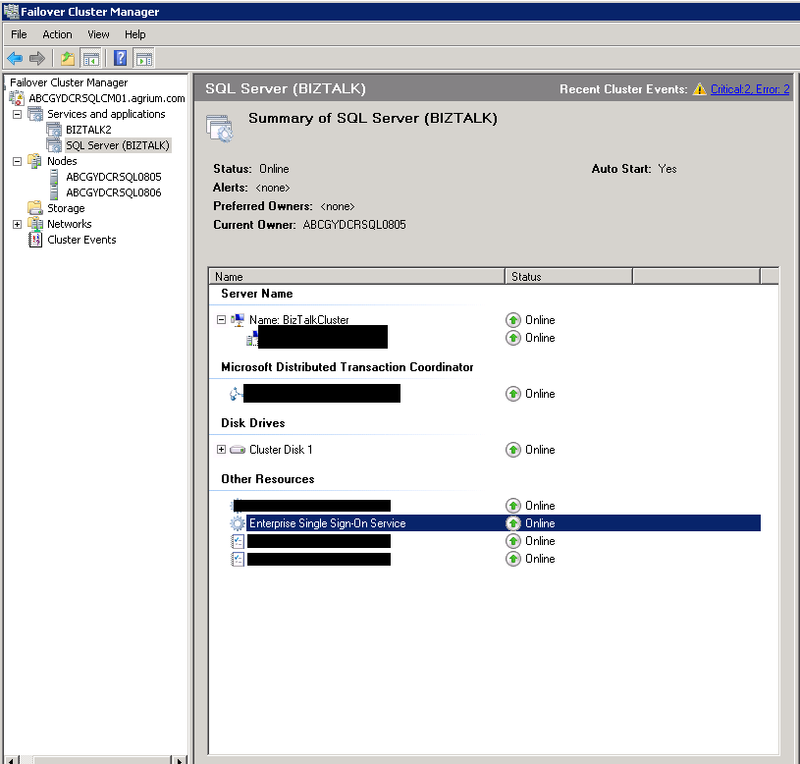 SQL Server jobs related to BizTalk - monitoring the success of jobs like DTA Purge and Archive that help maintain the health of BizTalk. 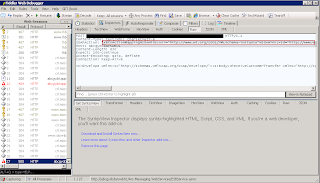 Message Box Viewer (MBV) - a tool that can help identify problematic areas in your BizTalk environment, it is verified that the tool runs successfully every night. 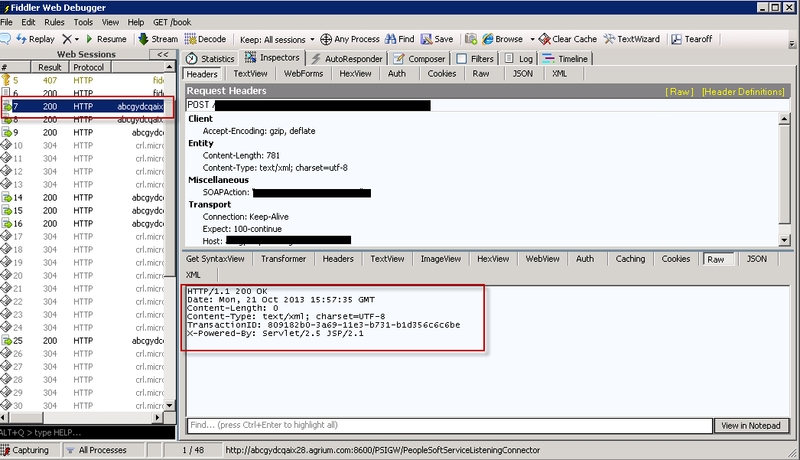 Recently we came into an issue where the proactive monitoring alerted us to a number of applications with a high number of suspended messages. 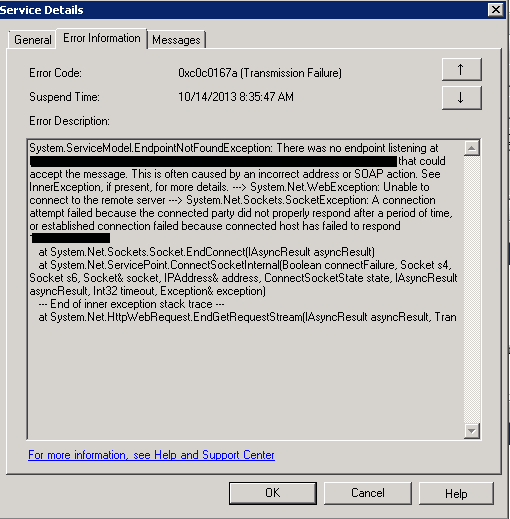 After troubleshooting this for a while, it was determined that one of the subscribing systems (we use the publish/subscribe message pattern a lot) web services server had become overloaded and couldn't process any more incoming messages. After the issue was resolved, we had a follow up meeting to discuss what we could do better in the future. BizTalk360 came to the rescue! Once created, the alarm will trigger every time the expected return code isn't received. In our case, the alarm is set-up to email not only the BizTalk team but the team responsible for the subscribing web service server. This has also been enabled for all subscribing applications where web services are the main mode of transportation. 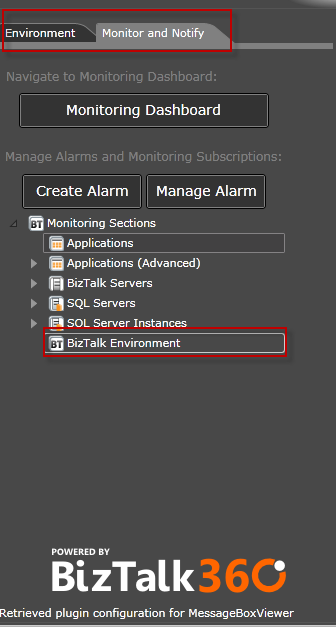 Kudos to the BizTalk360 team for their forward thinking on monitoring beyond the BizTalk environment! 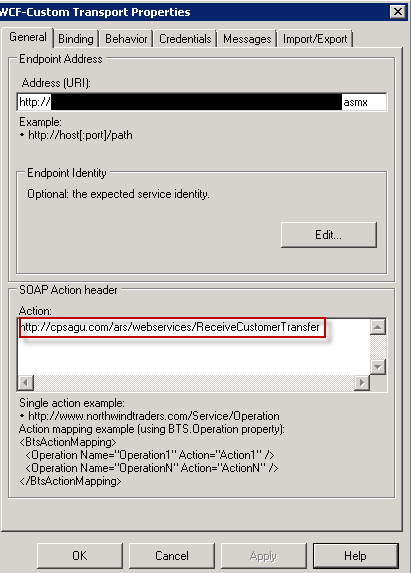 As I've mentioned before, I try and leverage content based routing whenever possible in BizTalk. There are a number of reasons for doing this, the main one being to not overcomplicate your messaging scenarios when you don't need to. As I try and practice what I preach, content based routing is widely used within the current environment I support. 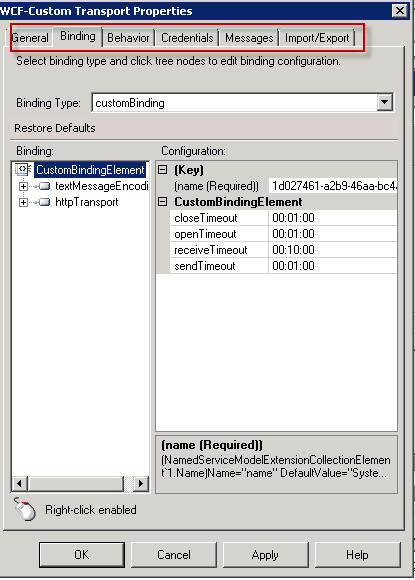 After setting up the binding and re-testing the send port, the error no longer appears. 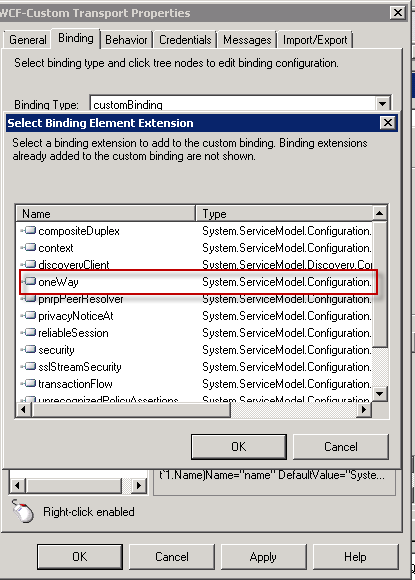 By setting the "oneWay" extension on the binding, BizTalk is no longer expecting the NON NULL response. Having worked with BizTalk for several versions now, I've collected a number of "Tools of the Trade" that I thought I would share. These tools cover a wide variety of aspects within BizTalk 2010 but have all contributed to increased productivity and stability in the environments I've worked in. 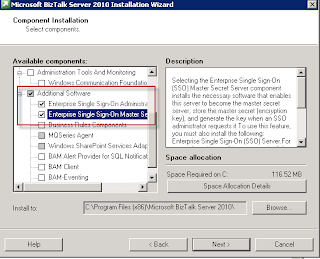 BizTalk360 - The most recently added tool to my repertoire, it must be said that this is much more than just a tool. Saravana Kumar has developed a formidable application that covers a number of topics the most important being monitoring. No more logging into production environments for discovering problems, the pro active monitoring that can be configured within BizTalk360 can notify interested parties of problems, and it's all configurable via a web interface. 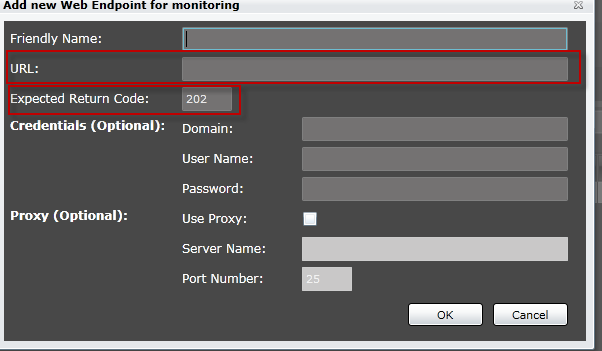 There might be other monitoring solutions out there, but I think Saravana's team has one of the best solutions. 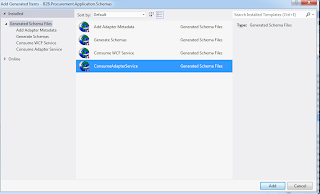 BizTalk Deployment Framework - I can't recollect how I deployed my BizTalk applications before this utility, but one thing I know is that before this tool, the process was time consuming and stressful. 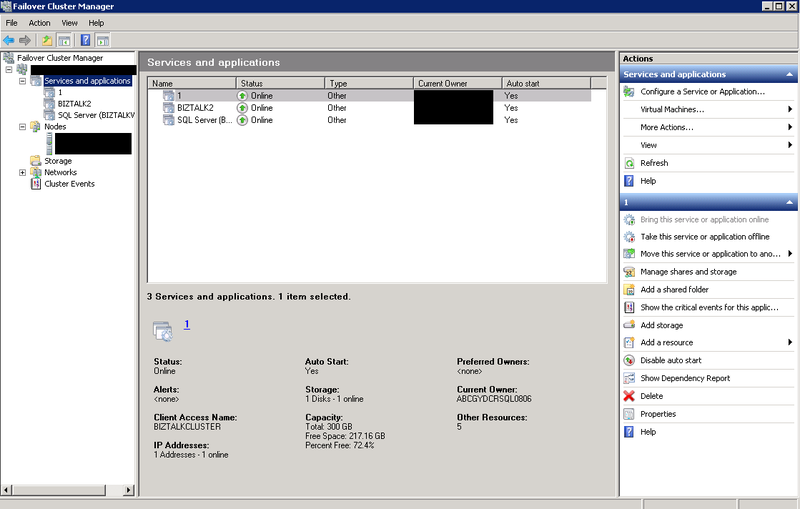 Thomas F. Abraham and Scott Colestock have put together a tool that allows a developer or admin to build an .msi file which contains all artifacts associated with a BizTalk application. Huge kudos to these guys for this tool is a huge time saver in many areas, the most important being deployment. 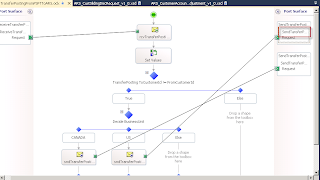 Pipeline Component Wizard - Need to create a custom pipeline component? Trying to remember all the different methods required of a custom pipeline component class can be difficult. Let this wizard do the heavy lifting. Not the best documentation and a little buggy, but a big time saver in this area. 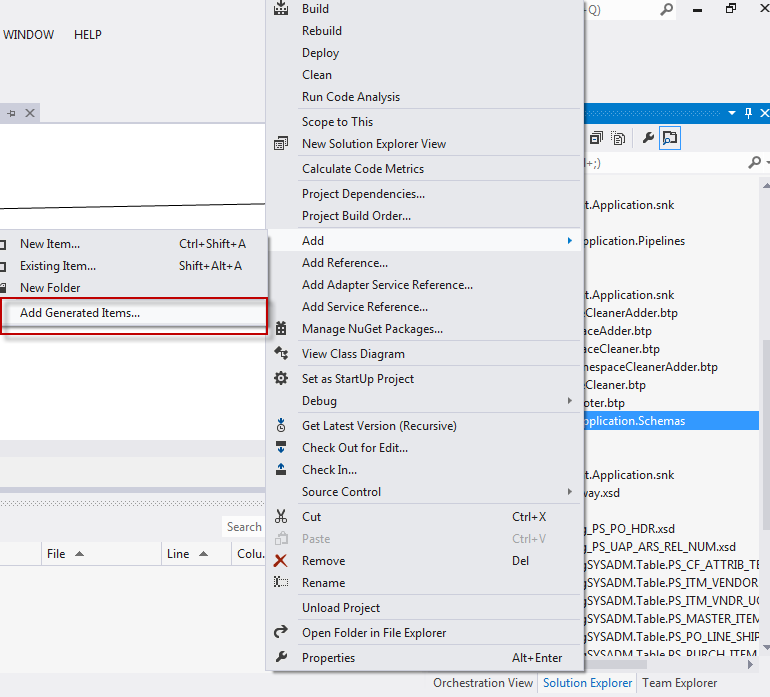 Pipeline Testing - Need to unit test that new pipeline component you just created with the Pipeline Component Wizard? Tomas Restrpo has a testing library that can help. Before I even think of leveraging a custom pipeline component, I'll test it with this library. 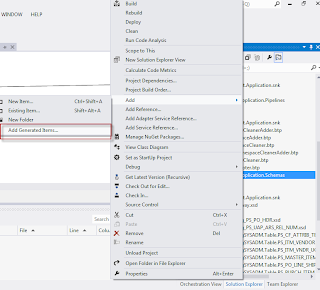 This library can save you an enormous amount of time when troubleshooting pipeline components. 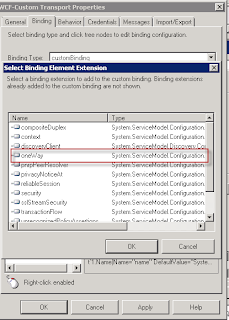 WCF Storm - Working with Web Service or WCF Services? 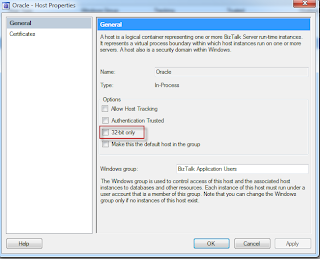 This app can test your endpoints whether they are associated with BizTalk or not. Since my current work environment uses the Pub/Sub Message pattern extensively, this tool has worked for unit testing our endpoints. Fiddler - The go to standard for web debugging in general, I use Fiddler for all web service troubleshooting. 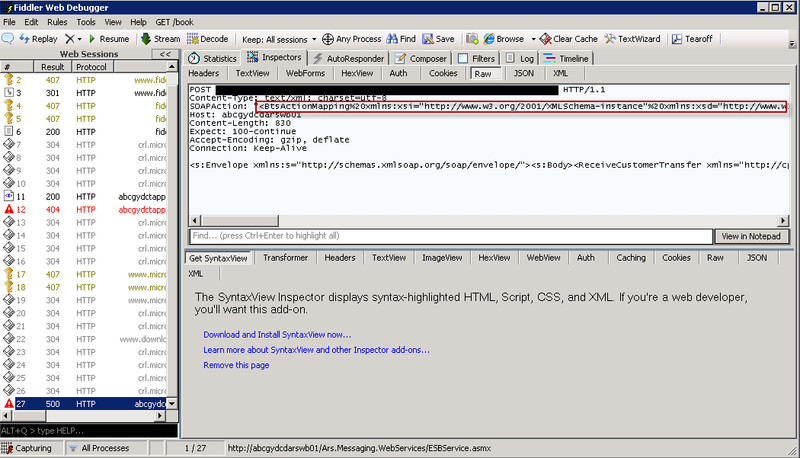 I love the tools ability to inspect the raw XML. Especially useful when failures on BizTalk send ports. This is just a start to the list, and I plan on including more tools as I discover them. 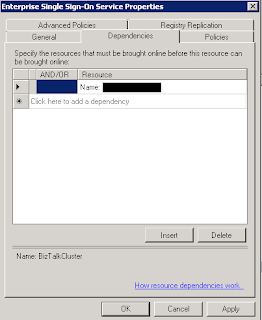 If you have any suggestions for tools in any area within BizTalk, please let me know. 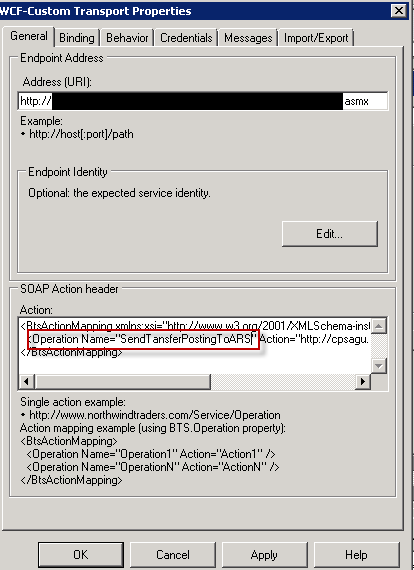 In my current work environment, BizTalk is leveraged for a lot of content-based routing scenarios. 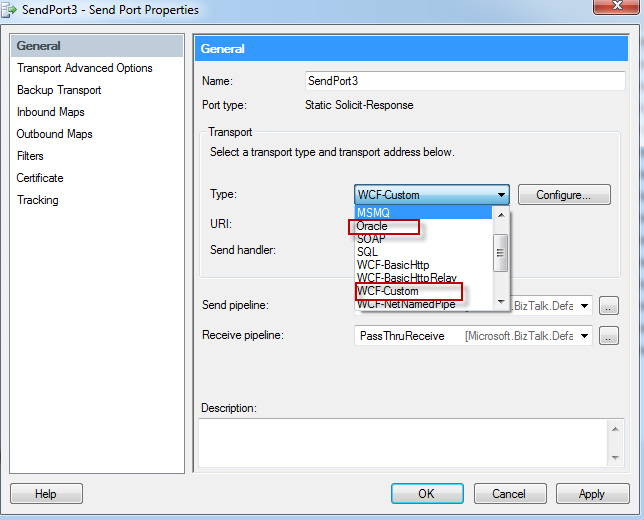 As a rule, I've tried to use WCF Custom receive and send ports wherever possible. Recently while working with the business, there was a need to change from pure content-based message routing to incorporating an orchestration. 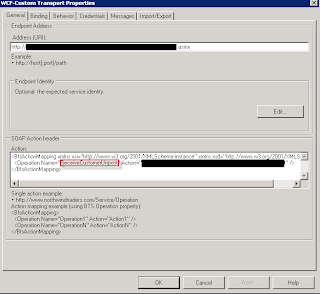 This orchestration was set up to use the current send ports that had already been created with content-based routing. When testing the orchestration, everything was working as expected, except when the message hit the send port. 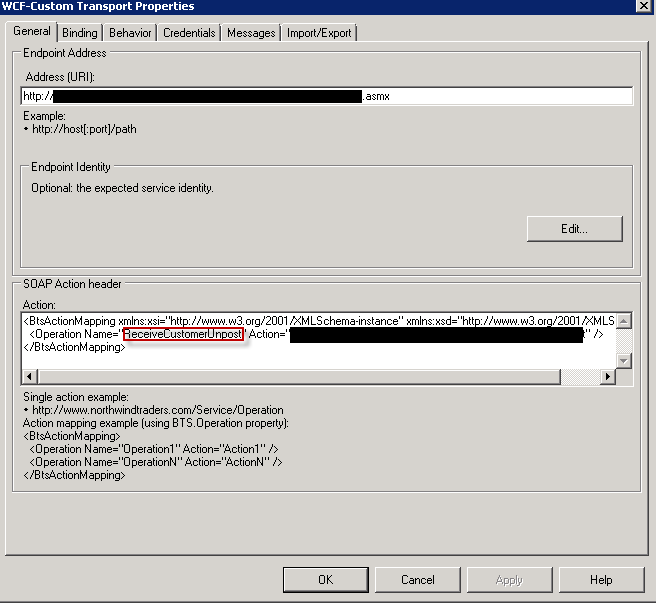 So why is it suspending with an incorrect SOAP Action when the message is sent from an orchestration and not when it is sent via content-based routing? 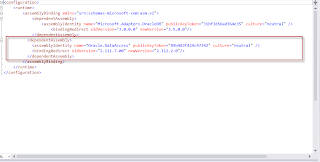 I had to pull out Fiddler to find the answer (If you have never used Fiddler, get to know it, I use it for all my troubleshooting of Web Service issues). 2.) 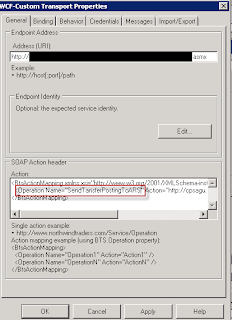 Instead of using the BtsActionMapping in the SOAP Action header, just use the name of the SoapAction that the receiving system is expecting. This will surely come up again when the business requires more than just content-based routing out of BizTalk. Hopefully this will help someone else who might have missed this small but important configuration change.